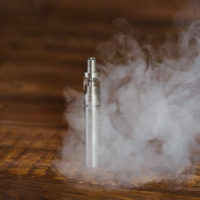 The New York Daily News reports that a local man was recently seriously injured after his e-cigarette exploded in his pocket. The man sustained severe burns and as a result he was required to undergo a multi-hour skin graft surgery. This is far from the first time that an e-cigarette has caused serious injuries. In fact, similar issues with e-cigarette explosions have been reported throughout the country, including in the state of Florida. This is extremely concerning, especially because the popularity of e-cigarettes has steadily risen. The Centers for Disease Control and Prevention (CDC) reports that nearly ten million Americans now use e-cigarettes on a regular basis. Further, many millions more use the product on a sporadic basis. This product is marketing as a safer alternative to traditional smoking, but it is clear that something needs to be done to protect innocent consumers. In Florida, companies have a legal duty to ensure that their products are reasonably safe for consumers. If a company fails to live up to this duty, they can be held legally liable for any damages that occur. Companies must take proactive steps to reduce the risks that consumers face. If a product is defective, whether because of a design flaw or a manufacturing flaw, it simply should not be on the marker. If you have been injured by a defective product, you should consult with an experienced Tampa defective products attorney immediately to learn more about your legal options. What Compensation is Available for Victims of Defective Products? Were Your Injured By a Defective E-cigarette in Florida? Please reach out to our team at the Pawlowski//Mastrilli Law Group today. Call our office at (813) 242-4404 to set up a free comprehensive review of your case. We will investigate your claim and fight aggressively to protect your legal rights and financial interests. Our firm proudly serves victims throughout the Tampa Bay region, including in Saint Petersburg and Durant.